► Minnesota (Ramsey County), Saint Paul — C.S.P.S. Hall — 1887 Built. — 1917 Remodeled, 3rd floor added. 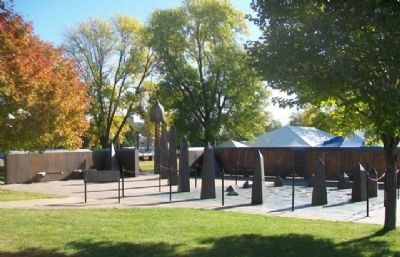 ► Minnesota (Ramsey County), Saint Paul — Leif Erikson — Discoverer of America — 1000 A.D.
51 markers matched your search criteria.